The ability to quote with multiple companies is the core essence of an insurance broker. Sometimes a property won't fit into a preferred carrier's program due to its age or location or condition. A broker is free to search out a program that fits the client's needs, ensuring the best price for the needed benefits. Since we have both 'agency' and 'brokerage' contracts with many companies, our clients get access to a broad range of insurance programs, ensuring the best value for their insurance budget. 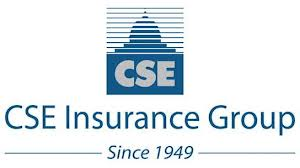 The best insurance companies staff service centers for the benefit of their policy holders. Service centers offer an enhanced service level by being open extended hours, even 24/7/365 in some cases. Clients should call a service center for billing questions, making a payment, policy changes, adding a new vehicle, requesting an evidence of insurance, changing drivers, getting a quote for a hypothetical situation, and reporting a claim. The agent/broker remains the best source for answering questions about how coverage works, what is covered by a policy, how much coverage you should have, claim submission scenarios, different company options, and problems with the service center. If a property fits in a preferred carrier's programs, usually the door is opened to multipolicy discounts. Auto, home, umbrella, and even rental property policies can be written in a package to ensure best pricing. The cheaper the premium, the harder the claims process may be. If a company is attracting premium through low prices, the only way it can make a profit is to slow down the payout of that premium during the claims process. It is important to insure properties at their proper replacement cost. Over insuring wastes premium dollars, and underinsuring wastes capital through insufficient coverage or prorated claims. Assuming a property is insured to 100% of its replacement cost, then Extended Replacement Cost coverage can apply. ERC typically provides +25% or +50% of the base dwelling coverage in the event of a claim. Essentially, this coverage is protecting against sudden and unforeseen spikes in building costs not normally anticipated in regular claims scenarios. Do not purchase a policy where the ERC is being used to bring the total coverage up to the actual needed coverage. This may cause the ERC to not apply, and even result in a prorated payment of claims. A general rule with any insurance policy (auto, home, health, disability, etc.) is to have as large of a deductible as can be afforded or is allowed. This minimizes the amount of premium going to the insurance company for their use and maximizes the amount of capital retained for your use! Insuring for small claims is not wise, since too many claims of any size usually results in premium surcharges. When a home is significantly damaged, the local building authorities may require that the entire building, even undamaged parts, be brought up to code. This commonly unanticipated expense is not covered under the regular policy. However, in California, all policies are required to include a 10% Ordinance and Law endorsement. This is not an additional 10% of coverage on top of the existing dwelling coverage, but rather allows for 10% of the dwelling amount to be allocated for building code upgrade expenses. The normal trigger for a property claim is damage occuring on a 'sudden and accidental' basis. This means that wear and tear, insect infestation, dryrot, etc., are not covered. This also includes overflow of water from toilets and drains, unless a special endorsement typically named 'Sewer and Drain Overflow' is added. This can help protect the value of upgraded floors, for example. With a 'Named Perils' policy, sometimes known as Broad Form, only if the 'Peril' is listed in the policy will a claim resulting from that peril be covered. For example, 'fire' is a named peril, therefore claims resulting from fire will be covered. With Special Form, sometimes known as 'Open Peril', a reverse approach is taken: if the claim is from a peril that is not excluded, then it is likely covered. For example: a large quantity of paint is spilled over the floor and furniture. A named peril policy would not cover this since 'spilled paint' is not on the list of things covered. However, a Special Form policy would cover the damage since 'spilled paint' is not excluded. The basic policy language only allows for reimbursement for personal property at Actual Cash Value. This means the value of possessions at a garage sale, for example. With Replacement Cost Contents coverage, the insurance company will pay with a second check the difference between actual value and the actual cost to replace the old damaged item with a new one. The liability insurance that normally comes with a homeowners policy protects the named insured against claims for property damage and bodily injury of others. However, unless the Personal Injury endorsement is present, claims for injury to someone's legal person would not be covered. Examples include: false arrest, wrongful eviction or entry, invasion or violation of privacy, liable and slander, and defamation. An umbrella insurance policy extends coverage over underlying auto, home, and rental property policies named on the umbrella policy. Some so-called umbrella policies are really just 'extended liability' policies that only extend the limits of the underlying coverage. True umbrellas also provide dropdown 'first dollar' coverage when no coverage is afforded by any of the underlying policies. Umbrellas are cost effective ways to protect an insured's net worth and future income stream from financial claims resulting from lawsuits. Replace hoses for washing machine and toilets. Get a seismic gas shut off valve installed. Have working smoke detectors and fire extinguishers in the home. Keep steps and railings in good repair. Repair cracked sidewalks and driveways.